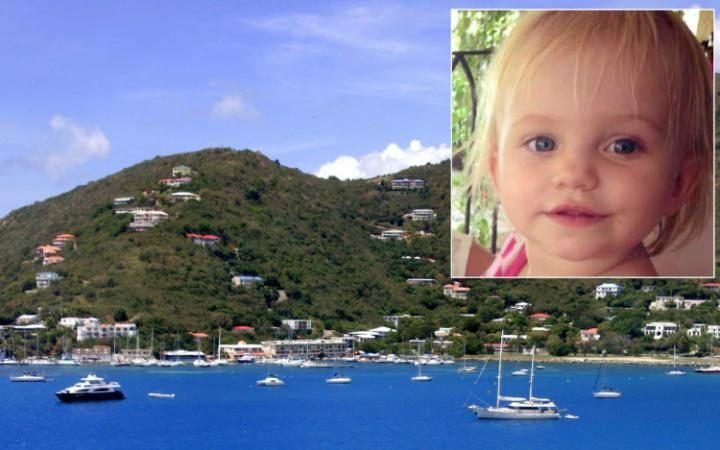 ROAD TOWN, Tortola, BVI — A British lawyer and his wife have been left heartbroken after their young daughter was killed in a tragic accident while outside a nursery with her mother. Ellie Perkins died when the family car rolled backwards down a hill near a children’s nursery and struck her in the Virgin Islands. The incident happened the day before the child’s second birthday on March 9. She had been behind the car with her mother at the time when it struck her. Ellie was rushed to Peebles hospital but later died from severe head injuries. Her baby brother Freddie who was in the car was miraculously unhurt. Her parents, private equity lawyer Daniel, 32, and Caroline, 33, had moved to the Islands two years ago when he joined legal firm Maples and Calder after leaving Taylor and Wessing in London. Mrs Perkins mother Jill Hale said: “We are all dumbfounded. We cannot believe it. “We will never get over this. It is the ultimate. It is something one has to get through I suppose but I do not know how. “This does not happen to very many people thankfully and you do not really expect it to happen to your own family. Her parents have flown her body home to Hampshire and her funeral is due to take place in Dummer, near Basingstoke, where the family lived before they moved abroad. An inquest in Basingstoke has been opened and adjourned into her death.